On 9th of November 2016 MARS ingress in AQUARIUS and this transit works until in the morning of 19th of December 2016. People with Mars in Aquarius in their natal chart like to fight for all kind of causes. They are unpredictable, but inspirational. They may become rebellious when angry. The target of this transit are Aquarius and Leo sign, but also Scorpio and Taurus, all of them are part of fixed cross. On 15th of November 2016, Mars Sextile Mercury: Decisiveness. Mental assertiveness. Honesty. Practical solutions. Technical skills. Fast work, rapid progress. You are a quick learner and can be perceptive. On 2nd of December 2016, Mars Trine Jupiter: This is a beneficial time for anything that requires confidence and energy. You are enterprising and enthusiastic. On 3rd of December 2016, Mars Sextile Saturn: Discipline and endurance are required now. Resist the urge to control. Accomplish what you can. Any delays are likely to be fortuitous. Ascendant in Aries: You are able to expend your friends group with new people from abroad and from activities in organisations and team projects. Ascendant in Taurus: You can go forward in your career if you work in joint venture or even with your life partner, or even better if you use other people’ money. Ascendant in Gemini: It is a good period to sign contracts with people from abroad or to find a life partner from another country, it depends what you really need. Maybe both situations. Ascendant in Cancer: You are able to gain benefits from your work but you should communicate very effective, no chance for isolation during this period. Changes and opportunities in your career. Ascendant in Leo: Use your creativity in your personal and business relationships. Do not refuse any invitation to the parties and different events. Ascendant in Virgo: Your family and home give you inspiration for your daily work, it is quite possible to have more days that you are working remote, from your home. Or maybe you get ill and you need to rest and recover at home. Take care of your health, especially of respiratory diseases. Ascendant in Libra: It is time to promote your ideas, to put your creativity at work, write a book, a blog, a vlog, communicate, talk, exchange ideas, travel in your benefit. Ascendant in Scorpio: You will spend some money to make your home more functional, more bueautiful, and more confortable. Try to negociate the prices. Ascendant in Sagittarius: By making some changes in your look (heaircut, new clothes) you may have more succes in communication, negociations, exams, presentations. Also it is a chance to travel for your personal benefit. Ascendant in Capricorn: A secret or descret activity, or an older idea starts to make money for you. It means that all your past work havent’t been done for nothing. Good luck in promoting and making money! Ascendant in Aquarius: You are very bold, active, full of energy, you are able to show who really you are and how many activities you can do. It is the best time to start a project, to start practicing a sport, to hunt opportunities and potential lover(s). Ascendant in Pisces: Here are two posibilities, you work too much and you are very tired and restless, even you have insomnia. Or you use in your career the ideas that are coming into your mind during sleeping or meditation. Important note: In all my astrological research and interpretations I use the Whole signs (house system) because it is the oldest house system (used by ancient Greek astrologers) who has proven its real value during history. When I am writing about aspects between planets, I use aspect from sign to sign, I am using a traditional way of interpretation of aspects. An aspect is not a must to be at perfect orb to have an effect. It is enough if we have a planet in a sign that forms an aspects with another planet from another sign. The most powerful aspects are: conjunctions, oppositions, squares and trines. I wish you to use wisely the energy of Mars in Aquarius! 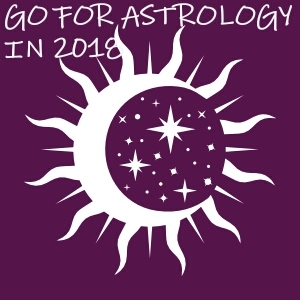 WHY DO YOU NEED ASTROLOGY?